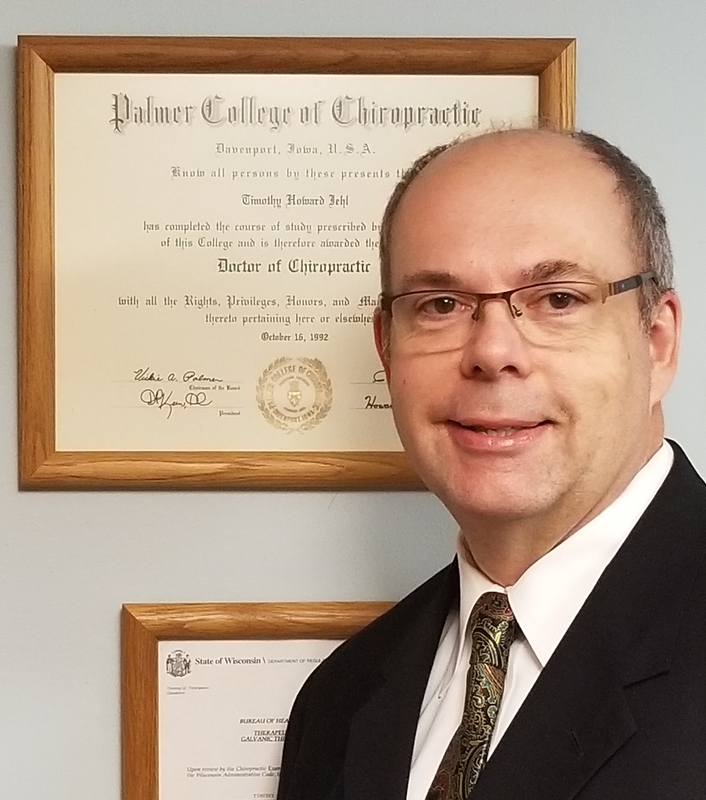 Dr. Iehl is a 1992 graduate of Palmer College of Chiropractic, located in Davenport, Iowa, the first and most prestigious Chiropractic college in the world. Born in River Falls and raised in Waterloo, Iowa, River Falls has always been a second home with many close family ties. Family is very important to Dr. Iehl. He and his wife have six daughters and five grandchildren. Dr. Iehl has many interests including: traveling, camping, hiking, hunting, fishing, woodworking, gardening, watching movies, and spending time with friends and family. Dr. Iehl worked his way through school as a cook, bartender, lumberyard attendant, auto parts sales person, as well as a store manager. After his graduation from Palmer college, Dr. Iehl worked in a busy Milwaukee chiropractic office before opening this office in River Falls on June 13, 1994. Dr. Iehl is a member of the "Wisconsin Chiropractic Association", a member of the "St. Croix Valley Chiropractic Alliance", past Chair of the Pierce County Chapter of The American Red Cross, an American Red Cross Local Disaster and Emergency Volunteer, he is also active in Church and the community. Dr. Iehl has been an adjunct professor teaching Microbiology and Human Anatomy and Physiology at Chippewa Valley Technical College in River Falls, when needed since 2009.